Warning: spoilers for last night’s episode of The Flash are below! Zoom is no longer the only person on The Flash whose identity is a mystery. 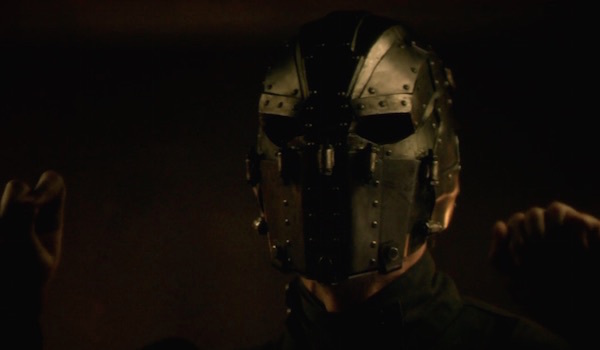 Glimpsed last week at the end of “Welcome to Earth-2,” last night’s episode “Escape from Earth-2” gave us more screen time with the individual being called The Man in the Iron Mask, who is Jesse Quick’s fellow prisoner at Zoom’s lair. While we can firmly say it’s not Leonardo DiCaprio under that mask trying to relive the 1998 movie, speculation is already rampant about who this man is. Our only clue concerning his true identity came when he used a POW tap code to spell out “Jay.” While he did confirm to Barry that he was talking about Jay Garrick, he got flustered when Barry said that Jay’s fine on Earth 1 and started shaking his head. Before the man could communicate further, Zoom told him to cut it out. Team Flash was forced to leave the masked man behind after Zoom caught them in the act of rescuing Jesse, but Barry promised he would come back for him, so we definitely haven’t seen the last of Mystery Man. In the meantime, we’ve gathered up the likeliest people who he might be using what little evidence we have so far. Following last night’s episode, a lot of fans are wondering if the man we’ve known as Jay this season isn’t who he says he is. We know he lied about how he lost his speed, and until yesterday, we never saw him and Zoom together aside from that flashback in “Flash of Two Worlds” (that isn't even guaranteed to be authentic). Harry Wells previously accused him of being a coward, and while we can’t fault him for his inability to use powers without the Velocity formulas, he hasn’t really given off that heroic vibe very often. 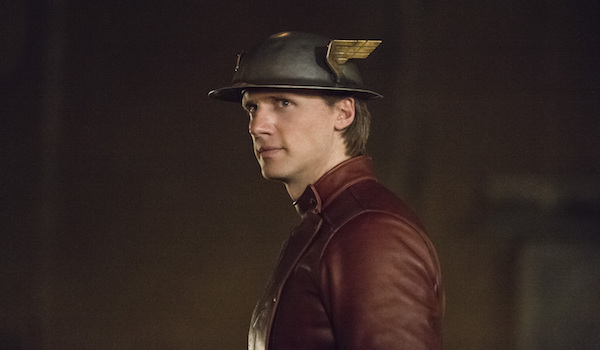 So what if this man is actually an impostor that’s somehow taken on Jay’s appearance, and the real Jay Garrick is being kept as Zoom’s prisoner? That’s the easiest explanation for why he spelled out ‘Jay’ in the tap code and would account for the head shaking. While he’s being kept in a cell, someone is pretending to be him in the outside world(s). The man we’ve known as Jay appeared to be killed before being brought back through the breach, but if he wasn’t really Jay, that means he’s probably not dead and still in play for Zoom’s future plans. Should the masked man be revealed as the real Jay Garrick, then we ideally get to see the real Earth 2 Flash at work either at the end of The Flash Season 2 or some other time in the show’s future. 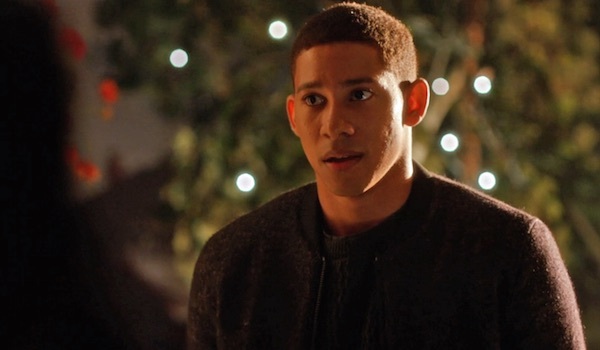 Comic book fans know that Hunter Solomon is Zoom in the comics, but his role is more enigmatic on The Flash. In “The Reverse-Flash Returns,” Jay revealed to Caitlin that his Earth 1 counterpart is Hunter Zolomon, but that guy appeared to lead a normal life, i.e. one without super speed. 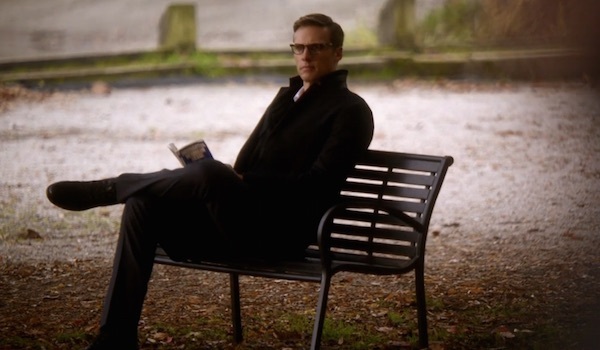 However, there may be more to his life than we can glean from just seeing him reading in the park. If he is connected to Zoom and these events, then he could easily have been kidnapped sometime after Caitlin and Jay saw him a couple weeks ago. Let’s also not count how that Hunter may have his own doppelgänger on Earth 2. There are two ways that man could be handled. One, the Zolomons adopted a different baby on this Earth and named him Hunter. That means a different actor would play him, but he could still be a player in all these mutilversal shenanigans. Another theory that has been thrown around is that Jay has a twin, which isn’t in the comics, but could easily be added for the show. Maybe Jay and this brother were separated at birth, and as an adult, Hunter either crossed Zoom’s path directly or learned that “Jay” ( a.k.a. the impostor) was up to something involving his brother, thus necessitating he be thrown into a jail cell. Okay, admittedly this all sounds very soap opera-ish, but considering how important Hunter is in the Flash mythos, we’re not willing to count him out just yet. Earth 1 Wally West made his debut in “Running to Stand Still,” and while he’s poised to become a major player on The Flash, he hasn’t yet become directly connected to the insanity in Barry’s life. His Earth 2 doppelgänger, on the other hand, hasn’t been seen yet, and it’s entirely possible that he’s somehow mixed up in this business. Some fans online noted that the masked man's skin appears to be darker. That could just be because of the horrible lighting in Zoom’s hideout - seriously, Zoom, don't be so stingy with your electric bill - but if that isn’t the case, then this Earth’s Wally West seems like a reasonable suspect. Neither Barry or Iris’ Earth 2 counterparts mentioned their version of Wally, so while they’ve been going about their lives in Central City as normally as possible, Wally may somehow be connected to Jay Garrick, and eventually got on Zoom’s bad side. Maybe he's got powers on this side already, too. 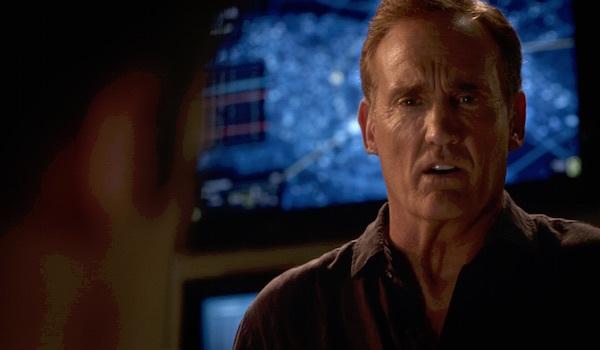 Earth 1 Henry Allen was freed from prison in the Season 2 premiere, but aside from returning in “Gorilla Warfare,” he hasn’t been seen this season. Henry attributed his leaving to not wanting to get in the way of Barry being a hero, and while that may have been true, we have no idea what Henry’s been up to during his time away aside from a camping trip, and it’s been seven episodes since we last saw him. What if Zoom kidnapped Henry to use as leverage against Barry at a later date? That doesn’t account for Henry knowing about Jay, but maybe he overheard something while trapped in Zoom’s lair. There’s also the possibility that it’s Earth 2 Henry Allen, but since Earth 2 Nora said they’re currently in Atlantis, that seems less likely. Personally, I’m still leaving him as a possible candidate for Zoom, as that would make for a significantly more shocking reveal. And then of course maybe faux Jay Garrick kidnapped Earth 1 Henry Allen for Earth 2 Henry Allen behind the Zoom mask. Totally possible. As we mentioned earlier, there aren’t that many clues pointing to the masked man's identity, so it may not be any of the people we mentioned above. Earth 2 Barry had an “Eddie” listed on his speed dial, so Eddie Thawne’s doppelgänger could be the one under the mask. Maybe Zoom kidnapped someone from Earth 1, and we haven’t noticed that individual’s absence yet. Widening our scope to the source material, one speedster who hasn’t been introduced on The Flash yet is Max Mercury. Originally hailing from the 19th century, Max used his speed to slowly travel forward in time, and he mentored Jay for a period of time. Perhaps on the series, Max is Jay’s ally, and after finding out what Zoom has planned, he was taken prisoner. With nine more episodes left this season, it may be a while until we find out what the deal with this mystery man is, so the speculation will have to continue. Here's hoping the show doesn't introduce a third masked man in the coming weeks. Who Do You Think Is Behind The Mask?